When designing a photography festival, it doesn’t hurt to pitch your tent in a photographic locale with a tradition of mixing art and pleasure. 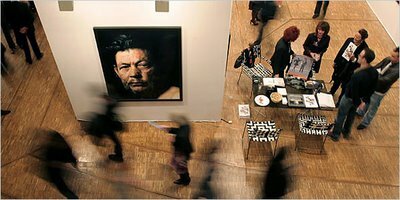 The success of the Rencontres Internationales de la Photographie in Arles, begun in 1970, has a lot to do with the eagerness of tourists to visit Provence in the summer and drive around landscapes implanted in their brains from Van Gogh’s paintings and Peter Mayle’s books. Paris Photo, celebrating its 10th anniversary this month, is a tyke compared with Arles and a lightweight in the age of megafairs like Art Basel and Basel/Miami. Populated mainly by galleries from Europe, with a select group from New York but only one this year from Los Angeles, it seldom presents as much first-rate vintage material as is offered annually by the Association of International Photographic Art Dealers in New York. Nor do its 120 or so exhibits match the contemporary and antiquarian scope of Fotofest in Houston.